Apostolos has been working in the ICT space for over 14 years and is currently the Senior Vice President of Member Engagement & Sales for the TM Forum, the world's largest trade association focused on helping enterprises continuously transform to succeed in the digital economy. As a member of the Senior Leadership Team Apostolos and his team are responsible for bringing together over 85,000 professionals across 900+ member companies to help them reduce costs and risks, improve business agility and grow their business through a wealth of knowledge, tools, standards, training and practice advice. Apostolos has worked with clients in Asia, Middle-East, Europe and the Americas and travels extensively to support projects and present at major industry events. He is also an advisor to many technology companies and over the years has worked with numerous companies worldwide (CellVision, Dax, Velocent, Oblicore, Etiya, Velti, Accanto, IST) in an advisory capacity on international expansion, sales and marketing strategy and partnerships. Recently he joined the Advisory Boards of Offerial and PollFish which are both backed by PJ Tech Catalyst and IQBility funding. 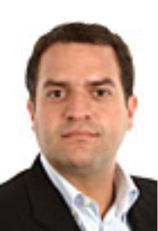 Apostolos holds a BA International Business from the University of Brighton and an MBA in Telecoms from AUEB.